Having posted a lot of smoothie recipes I get asked what type of juicer I own and my answer is, it depends on what you want to do and what your tastes are. In my case, I like delicious fruit smoothies (and these are an easier sell to the 9 year old boy) AND I like smooth fresh vegetable juice. To have both you need different equipment. If you want to choose between brands, like Vitamix OR Ninja then the Tyranny of the OR applies. You do not need two machines that do the same thing. On a side note, spend the money and get the Vitamix. If you want smoothies AND smooth juices without pulp then Embrace the Genius of the AND and purchase both a blender and a juicer. 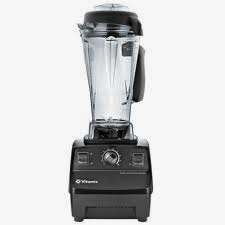 The powerful motor in the Vitamix will certainly handle the above items, but it makes a chewy juice that will be a difficult sell to young ones. When shopping for a machine remember that you do get what you pay for. 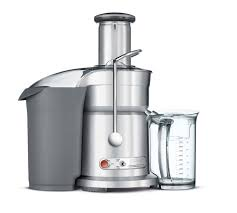 I highly recommend both the Vitamix (I have the 6300) and Breville (I own the Juice Fountain Elite). The quality of juice and smoothies is not only better, care and maintenance are much easier with these machines. This is super important for saving time and enjoying the experience.